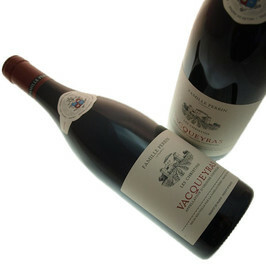 Vacqueyras is a wine of protected designation of origin produced on the municipalities of Sarrians and Vacqueyras. This AOC is elaborated in three colors; red of various characters (and some rosé wine or rare white wine). For the red wine and the rosé wine, they arise from Grenache, Syrah, Mourvèdre and Cinsault. For white wine, ample, round and fat: sparkling white wine, Grenache Blanc, Bourboulenc and Roussanne are the main vines. The Perrin family puts forward all these characters in these wines.